This is the second post in our series which answers our friends and guests’ FAQs about Chile. Most people want to know the best places to eat while they’re here. However, since we’re food lovers, this is a big list and we’ve decided to divide it into more specific FAQs like “Where should I eat when I’m in Valparaíso?” or “Where should I eat in Casablanca?” This particular post answers the question, “Where should I eat when I’m in Santiago?” In addition, if you're traveling to Chile you should know that dinner time is quite a bit later than in the U.S. It usually falls somewhere between 7:30PM and 10:00PM so if you go early to a restaurant, it might not even be open before 7PM or you can expect to be eating on your own. Named one of the best restaurants in the world on multiple occasions, we have no qualms about suggesting this Peruvian restaurant in Chile. The restaurant, which can also be found in Peru and other places across the globe, has a great wine list, featuring our Cariblanco, and some of the best ceviche we've ever tried. While you’re there, don’t forget to try the Peruvian style pisco sours which differ a bit from Chilean pisco sours in that they contain egg white and a drop of bitters on top. With its eccentric, eco friendly design and delicious traditional Chilean food, this is a must go if you’re in Santiago. That is, except if you’re there in February when the restaurant closes for the entire month. In every other month, however, Chile’s national chef, Coco Pacheco, serves up delicious seafood and tasty pisco sours in addition to their extensive wine list containing a couple of the Kingston wines. We recommend trying the corvina or Chilean sea bass because after all, you’re in Santiago de Chile! 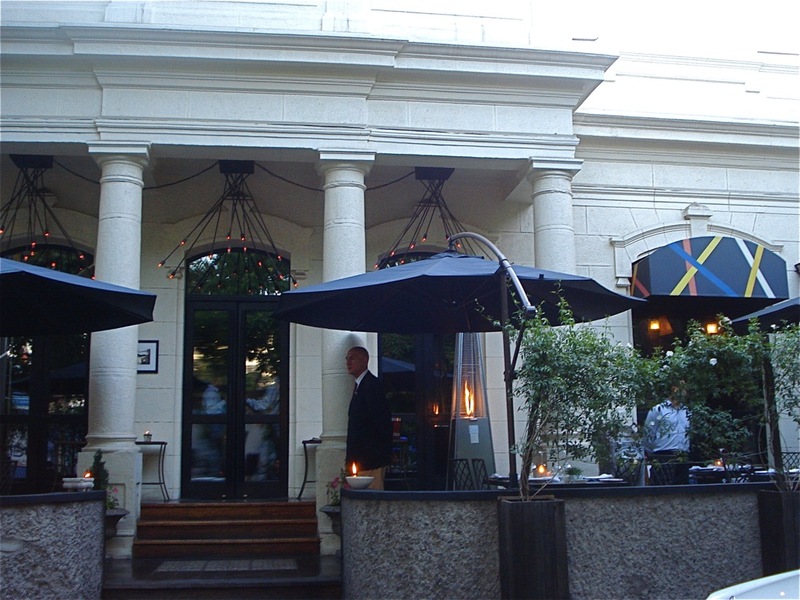 A wine bar with delicious food, this restaurant is great for trying different Chilean wines but it’s not on the high end. Many wineries from all around Chile and the Casablanca Valley are featured here along with delicious fare. Located in one of Santiago’s up-and-coming neighborhoods, Lastarria is filled with beautiful museums, architecture and gourmet food and drink. Of all the choices in the barrio, however, we particularly recommend Bocanariz. Owned by two Chilean sommeliers and a Frenchman, who is in charge of the food, this wine bar has probably the most extensive wine list of anywhere in Santiago. For appetizers to go with your wine, try the “candies” and if you like Malbec, go for Loma Larga’s award-winning Chilean Malbec. Located in three different places around Santiago, Bar Liguria is a great place to go to for traditional Chilean cuisine in a homey setting where the tables are dressed in red and white checkered tablecloths and the walls are adorned in classic Chilean posters. Along with a long list of Chilean wines, you’ll also find some great Chilean beer which is becoming more popular with artisan breweries like Kross, Kunstmann and Guyacan appearing all across Chile. One of our favorite restaurants in Santiago, our only regret is not going more often. In addition to gourmet Chilean food (try the ceviche! ), they have some of the best cocktails we've ever tried. With strange and delicious combinations, Mestizo is worth going to if even for just the view and a nice drink. 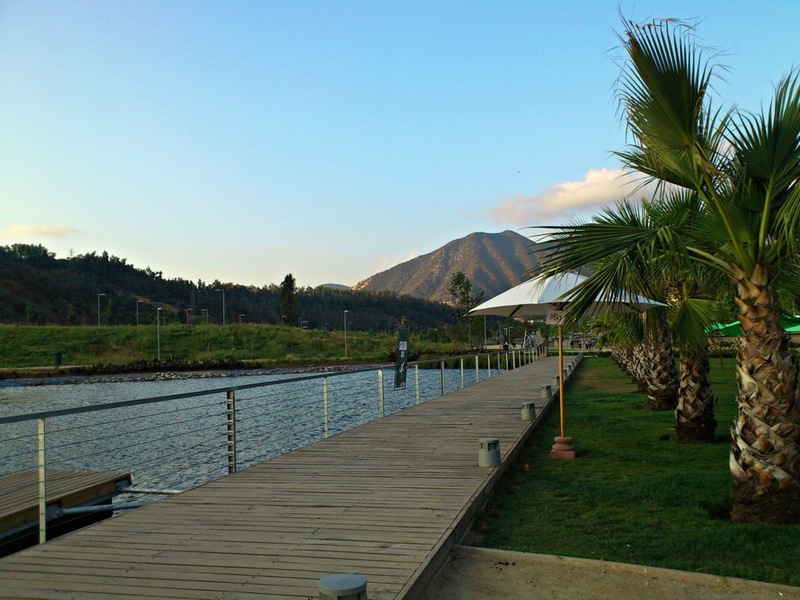 When you make reservations, be sure to ask for a table on the patio, you’ll end up overlooking the small pond in front and a beautiful sunset over Parque Bicentenario where this restaurant is located.